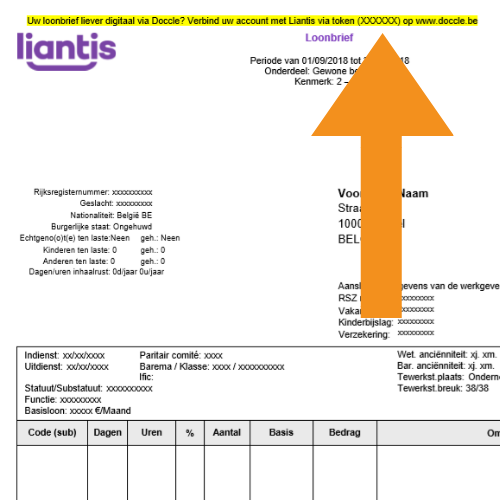 Receive and store your payslips and other personal HR-documents from Liantis on Doccle. You will need it later on. Login to your Doccle account. If you don’t have one yet, create a new account first. You can always find this overview via the “Connections” tab. Your National Registration Number can be found on your identity card. Your Doccle-code is situated on the first page of your payslip. From now on you will receive an email for every new document on Doccle. Are there no documents in you archive? 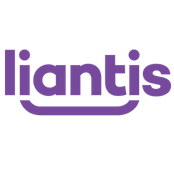 Today Liantis does not yet provide an archive of old documents on Doccle. After you have added Liantis you will receive future documents on Doccle, but not automatically the previous ones. If you wish to view older wage documents, it is best to inquire at your employer’s personnel/HR department. Also add other companies to your account. Discover them all here.